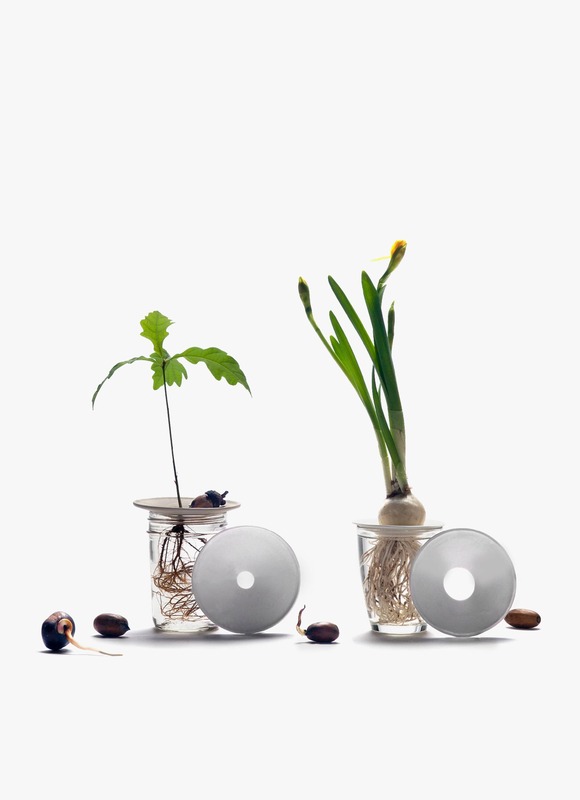 Sprout is a porcelain accessory that lets you easily grow small trees and plants in your favorite glass or vase. 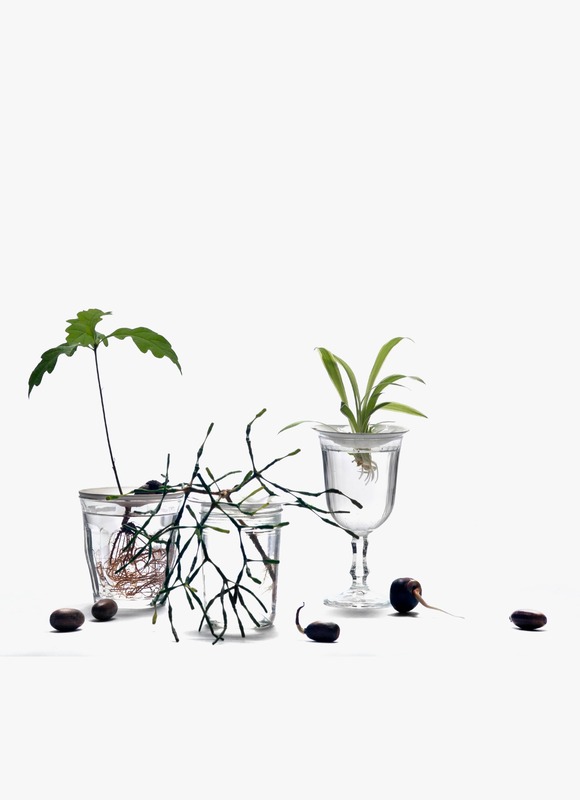 It sits on top of the glass opening, and lets the seeds or cuttings hover just above the water level, so they can grow roots without rotting. 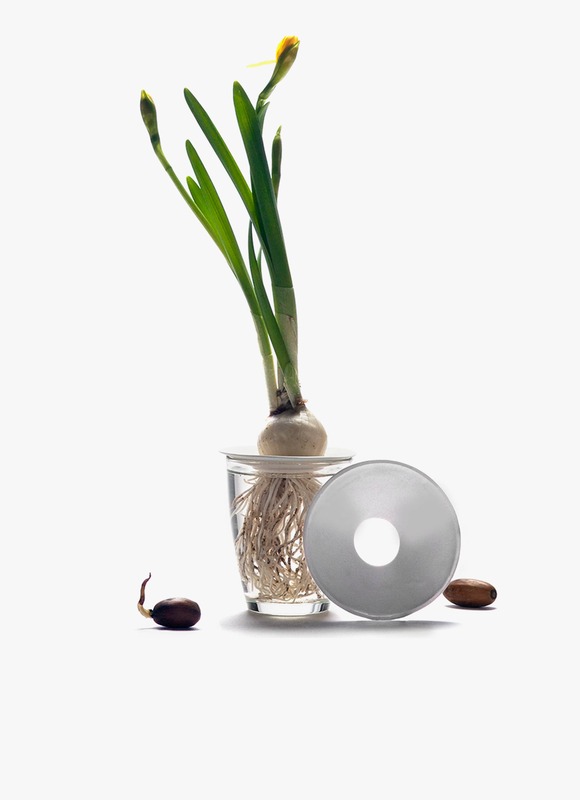 The white surface acts as a picture frame to shine the spotlight on your growing seedlings. Celebrate the beauty of nature and the magical force that transforms small seeds into giant trees. 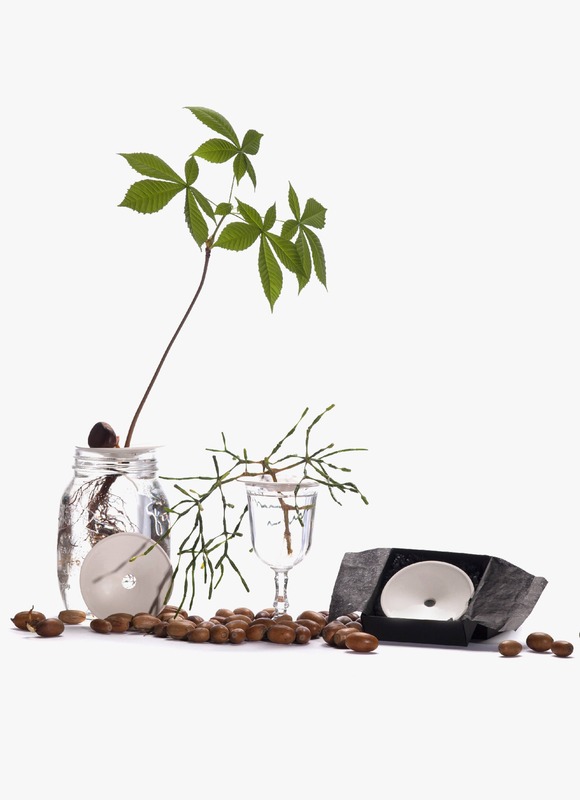 All the Sprout products are handmade in the EU, with care for people and the environment. This seed mix contains in total 60g of a blend of assorted seeds to germinate indoors with instructions. Includes several species of acorns, nuts, and beans for both fast (warm) and slow (cold stratification) germination methods. 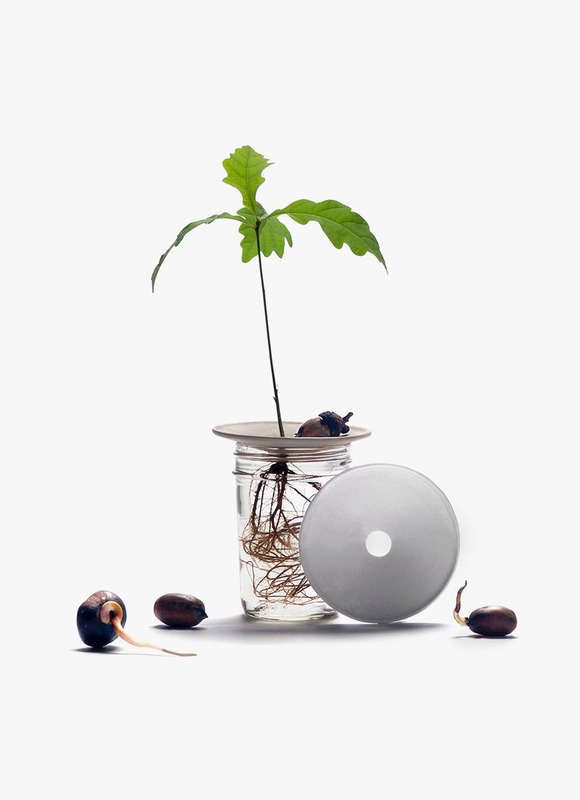 Includes : Quercus Robur, Quercus Palustris, Corylus Avellana, Prunus Dulcis, Phaseolus coccineus, Vicia Faba, Fasolia Gigandes, Aesculus Hippocastanum. For instructions on the best way to get these seeds to germinate, check Sprouts: How to page, or follow the directions on the included instruction card in the bag. Seeds are grown in the Netherlands & Austria. 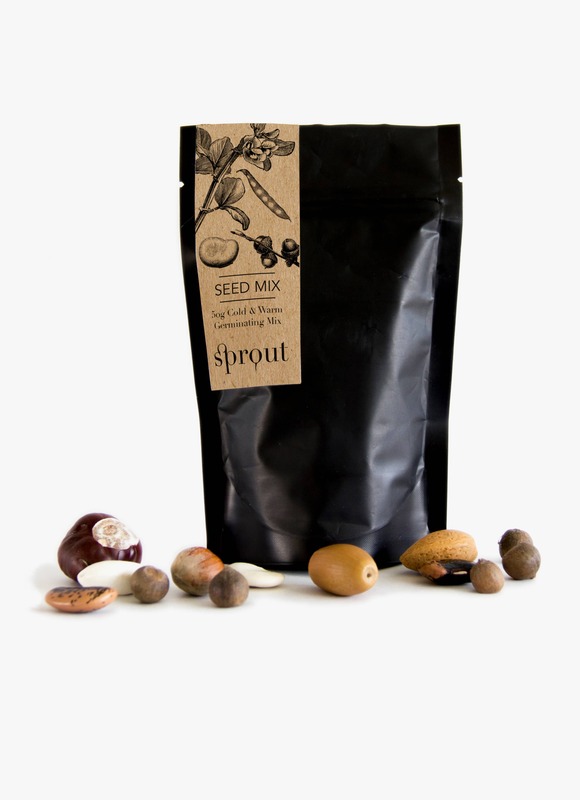 You can use Sprout with a variety of different seeds, nuts, bulbs and plants. Below is the basic technique for all seeds and pits. Want to try a cactus or succulent? Go here. Sprout is also perfect for holding your water cuttings while they root. Explanation here. Sprout made a few little videos showing you the way for a few different seeds and plant types. If you prefer to read, rather than watch our quick tutorials, scroll down. Stone fruits like peaches and apricots and raw nuts like peanuts, cashews and pistachios or citrus fruit pits like lemon and oranges, once sprouted, will also fare well with Sprout. Avocado pits are also a favorite. Follow the “baggie method” below. Feel free to experiment with fast growing seeds like beans and legumes, or even potatoes, lemongrass and ginger! You can also use it to root small plant cuttings, a favorite that’s sure to succeed is the spider plant, but succulents and cacti are good candidates.